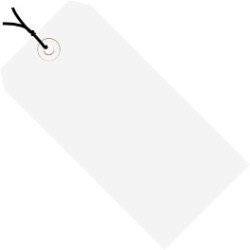 Colored tags aide in coding shipments and inventory. Tags feature a 3/16'' reinforced, tear resistant eyelet. Tags are loop strung with 12'', unpolished cotton string. Additional string available stock number G2501.